As a homeschooler, your child is eligible to dual enroll in many colleges. Please contact the college of your choice for more information. Make sure to read their requirements and definition of dual enrollment as the vocabulary may differ. What you may consider dual enrollment may be something entirely different to them and vice versa. An ACT/SAT score - If the student has not taken the ACT/SAT and/or did not score high enough, they may ask the student to come in and take the COMPASS test. Official transcript - If you are an Everest student, you can find that info here: http://www.alabamahomeschooling.com/2011/01/transcripts.html. Dual Enrollment Agreement - Generally they will ask that your school sign off on a permission form. Please obtain this form and send it to your school. If you are an Everest Academy student, please send this form along with an addressed stamped envelope to the location where you would like it sent. We are happy to assist you in this process at no charge. To go to college or not to go to college? That is the question. If your answer is yes, then odds are you are pretty confused right about now. Well, you are not alone. 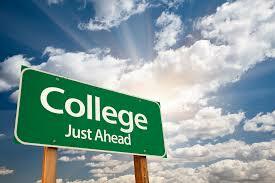 There are so many variables involved when it comes to how to prepare for college and when. The main key to college preparation is organization. That's where this guide comes in. Take a look at the 3 levels of diplomas and decide which one you think you might want to work towards. Consider taking the PLAN test (pre-ACT test) and/or PSAT/NMSQT (the practice SAT). The results will help you focus on areas that need improvement. Print out the check off list of requirements. Keep records of all classes and activities on a blank transcript form. Look at your personal interests for fulfilling elective credits. Register to take the ACT and SAT at least once, preferably during the spring. Extracurricular and leadership activities are important so become involved, but also remember that colleges prefer quality over quantity. If you haven’t done so already, compile a list of all of your honors, awards, activities, volunteer work, and jobs. This will be useful when it’s time to create a resume and fill out applications. Keep a running list; nothing is too small to list. Start looking at different colleges and their websites keeping in mind such variables as tuition, location, and size. Continue to develop your list of possible college choices. Check out their websites and request materials for prospective students. Register to take the ACT and SAT at least once, preferably during the fall. Begin narrowing your college choices and schedule campus visits, tours and interviews. Update your list of awards, achievements, activities, etc., and use it to create a resume. If appropriate to your interests, begin developing portfolios, audition tapes, writing samples, or other evidence of talents required for college admission and/or scholarships. If you have not taken the SAT and/or ACT or need to re-take tests, do so early in the fall. Decide which colleges you will apply to, and gather all application materials for admission and for scholarships/financial aid. Be sure you know each college’s procedures and priority deadlines for scholarship and financial aid applications. Organize your college files, so you won’t miss any deadlines. Approach mentors and teachers for recommendation letters. If you haven’t already, request that ACT and SAT send your official test scores to the colleges to which you are applying. Continue to look for outside scholarship opportunities. Submit the Free Application for Federal Student Aid (FAFSA) as soon after January 1 as possible. Notify your chosen college about any outside scholarships you receive. Many colleges prefer the Common Application. Students should look at applications early to know what is expected of them. Many applications may be filled out online. There is no disadvantage to using the online Common Application or an individual school’s online application. In fact, most schools prefer online applications, and many offer incentives (such as reduced or waived application fees) to encourage their use. If you prefer a paper application to an online application, you may download and print the application form or request a paper copy through the college’s website. Most application forms are available by July or early August. If using a paper application, be sure to proofread it and make a copy for your files. Some colleges or universities require letters of recommendation. Ask for these in advance. Search for schools that are right for you. Visit as many campuses as possible, as early as possible. Organize files of all college-related materials (applications, resumes, ACT/SAT information, letters from schools, passwords for websites, etc.). Ask for recommendation letters at least a month in advance. Give time and attention to applications. Neatness counts. Keep copies of everything you submit. Keep up with the passwords you establish for online applications. STARS stands for Statewide Transfer & Articulation Reporting System. STARS is a web-accessible database system which provides guidance and direction for prospective transfer students in the State of Alabama. The STARS System allows public two-year students in Alabama to obtain a Transfer Guide/Agreement for the major of their choice. This guide/agreement, if used correctly, guides the student through their first two years of coursework and prevents loss of credit hours upon transfer to the appropriate public four-year university in Alabama. Although transfer guides/agreements can only be printed for two-year to four-year transfers, the STARS system can still provide guidance and direction to transfer students who have a different transfer situation. Everyone knows there is an exorbitant amount of free information online, especially for homeschoolers. The problem can be trying to sort through all the info so you can use the good stuff, and toss out the bad. Well, that’s what I’m here for, to help sort through the overload of information and provide you with the most relevant and helpful resources I find, all to make your job easier.